On 2 January 2019, a website for the digital registration of foreigners staying in Belarus for more than five days went online. Until now the majority of foreign nationals have needed to visit a local Belarusian Citizenship and Migration Department office. 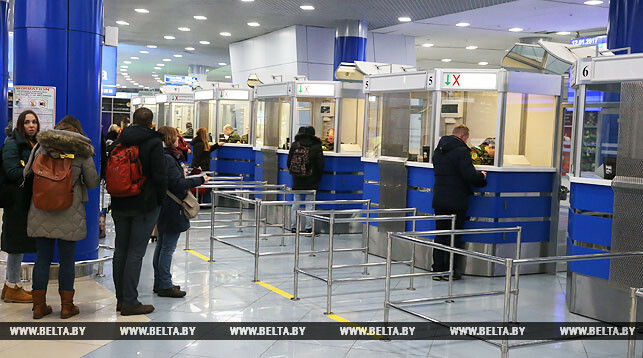 The new initiative represents the latest successful step from the Belarusian authorities to simplify the entry and stay of foreign nationals in Belarus. At the same time, some foreigners have already experienced difficulties with online registration. According to the Belarusian Internal Affairs Ministry, online registration requires care and attention. Inaccurate data entry may cause the system to deny a registration. In addition, foreigners travelling to Belarus via the Russian border still have to contact the nearest citizenship and migration office. This also applies to foreigners wishing to prolong their stay in the country. Online registration for foreigners: a long-awaited relief? On 2 January 2019, the Belarusian Ministry of Internal Affairs and the National Centre of Electronic Services opened the online registration system for foreigners. Since then, foreign nationals and stateless persons can register themselves on the website portal.gov.by instead of attending a local Citizenship and Migration Department office upon arrival. The registration remains available free of charge via any PC, a mobile phone, or other devices in possession of an internet connection. In order to register, a foreign national should create an account on portal.gov.by. As soon as he or she receives a confirmation message, a foreign national becomes officially registered at the listed address in Belarus. A foreign national might not show proof of successful online registration to border officers, although a registration screenshot speeds up the border checking procedures. At the same time, in case a foreign national forgets to register online, he or she might still visit at the closest Citizenship and Migration Department office afterwards. At the same time, citizens of Latvia, Lithuania, Estonia, Kazakhstan, and Ukraine can stay in Belarus without registration for up to 30 days, and Russian citizens for up to 90 days. As soon as citizens of the above-mentioned countries exceed the allowed period of stay without registration, they must obtain a temporary residence permit. According to the first statistical data, out of 420 foreigners who used the website portal.gov.by for online registration, 194 failed to pass the registration process. The Belarusian Internal Affairs Ministry analysed the numerous failures and issued an explanation. According to Uladzimir Kuzura from the Office of the Citizenship and Migration Department, the registration process requires great care on the part of users. The most common mistakes include mistyped passport characters, incorrect border crossing dates as well as obligatory fields left blank. In case of a failed online registration, foreigners have to register in person at their local Citizenship and Migration Department offices. There also exist certain limitations on the online registration. In particular, foreigners entering Belarus via the Russian border cannot register online and their only option remains attending the nearest Citizenship and Migration Department. Apart from that, all foreigners wishing to extend their period of stay in Belarus have to attend a Citizenship and Migration Department as well. The Belarusian visa-free regime: a success story? On 24 July 2018, Alexander Lukashenka signed the groundbreaking presidential decree allowing foreign nationals from 74 states to enter Belarus up to 30 days visa-free, provided they cross the border at the Minsk National Airport. Previously, in February 2017, Lukashenka signed another crucial presidential decree, which allowed foreign tourists from 80 states to enter Belarus for up to 120 hours without visas via the Minsk National Airport. Those legislative measures became a turning point in the development of Belarusian tourism. The 30 days visa-free policy has immediately yielded positive results. In the first month since the extension of the visa-free stay, the number of foreign visitors travelling to Minsk has substantially increased. Specifically, the number of American tourists increased by 48.2%, British tourists by 49.7%, Dutch tourists by 120%, French tourists by 53.4%, and Italian tourists by 52.6%. In comparison with the analogous five-day visa-free period in August 2017, the total volume of foreign tourists increased by 35%. According to Maryna Kandrashova, the head of the tourist company “Around the world”, the visa-free regime has substantially improved Belarus’s attraction for business tourists. In particular, “Belarus started hosting serious international conferences and congresses, and such events could never happen there before due to the difficulties with visas for international participants.” The number of tourists flying for a city-break to Minsk has also increased, notes Kandrashova, however the growth of business tourists remains higher. 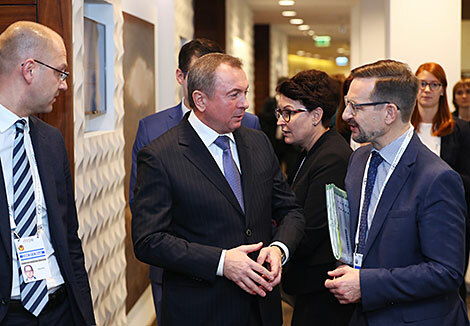 Filip Guly, the Chair of the Republican Union of the Tourist Industry, observes that despite the increase of tourist flows to Belarus, there still exist milestones for growth in the visa regulation. Particularly, numerous tourists unable to visit Belarus from Russia, or vice versa, even with a Russian visa in the passport. Such an unpleasant situation persists due to the existing trans-border agreements between Belarus and Russia. At the same time, Guly praises the improved cooperation between the national tourist services and law enforcement agencies, which grants a high-security level amid the change of the visa regime. The Belarusian tourism industry: a soft tool to strengthen independence? As both Guly and Kandrashova note, the national tourism industry awaits continuous progress. The recent positive changes include the growth of English-speaking staff and the increased international advertising of the Belarusian tourist products. The Ministry of Tourism assigns financial means for popular bloggers and opinion-makers to generate reviews and videos of their stay in Belarus. As for the tasks for future, Guly names the necessity to improve the tourist infrastructure and services as well as to lower tourists’ costs. The recent successive efforts of the Belarusian authorities to open up the country to the world might also go in line with the government’s sporadic attempts to enlarge the manoeuvre space for talks with Russia. As the national tourism industry grows, more and more people across the world discover an independent Belarus, in a way serving to emphasise Belarus’s separateness from Russia – at least in the heads of international tourists. Amid the Belarusian presidential election in 2020, it is unlikely that significant steps will be taken towards political liberalisation. After the lifting of Western sanctions in 2016 against Lukashenka and several Belarusian officials, there has been no improvement in the human rights situation in Belarus. The authorities are likely to maintain pressure on independent online resources (TUT.by and others). Nevertheless, after the change of geopolitical situation in 2014, the annexation of Crimea by Russia, and the war in the east of Ukraine, it became even more important for the West to prevent Belarus from losing its independence. The dialogue with Minsk was intensified. Lukashenka was invited to visit a few EU capitals, including Paris, Vienna, and Riga. As a result, Belarusian authorities replaced brutal arrests with more sophisticated methods of punishments of civil society activists such as fines and employment ban. After the lifting of EU sanctions, there was no change in the attitude of the authorities towards the opposition and civil society. As before, Lukashenka often speaks of them as “fifth column”. On 24 August 2017, he even spoke about “children of the fifth column” and “our, ordinary children.” More than once he claimed that BRSM (the state-run Belarusian Republican Youth Union), veterans’ associations and trade unions – the organisations fully controlled by the authorities – were a civil society. Lukashenka often stated that human rights were the rights to life and to work and that the human rights situation in Belarus was no worse than in the West. Only one aspect has changed – the government has modified somewhat the methods of pressure on the opposition and civil society. Since spring 2016, there have been fewer cases of arrest of opposition activists, independent journalists and people protesting the authorities’ actions. However, the number of fines has sharply increased. According to the database of human rights activists, in 2017, activists and protesters were detained over 600 times. According to the courts’ decisions, they paid more than 200,000 rubles (about $100,000) in fines. In many regions of Belarus, a monthly salary of $200-300 is seen as a good salary. According to the Belarusian Association of Journalists (BAJ), in 2017, the courts issued 69 fines under Article 22.9 (Part 2) of the Administrative Code (illegal production and distribution of media products). Journalists paid 52,923 rubles in fines (the equivalent of about $26,500). In the current year, the courts have already handed down 106 sentences to pay fines for the total amount of 92,316 rubles (about $46,000). According to preliminary data, the participants in the actions in 2018 will pay fewer fines issued by courts than in 2017. However, this in no way means a softening of the political regime. The government still widely uses the employment ban against leaders and the best-known activists of NGOs, as well as civil society activists, in whose activities the government sees political overtones. KGB officers make sure that a “black-listed” person cannot get a job at a state enterprise or agency. In a large city, one can still get employed at a private enterprise. However, it happens that the employer then starts to have problems with various government agencies, such as the tax inspection, the sanitary-epidemiological service, and the fire inspection. In a town with the population below 50,000 people, such persons will not even find a temporary employment: they are known, and a business owner does not want to get into trouble. The maximum that they can count on is informal, casual earnings from an acquaintance. Or they will be offered the most unskilled, low-paid job – a janitor or a cleaner in a store so that whoever sees them learns a lesson. 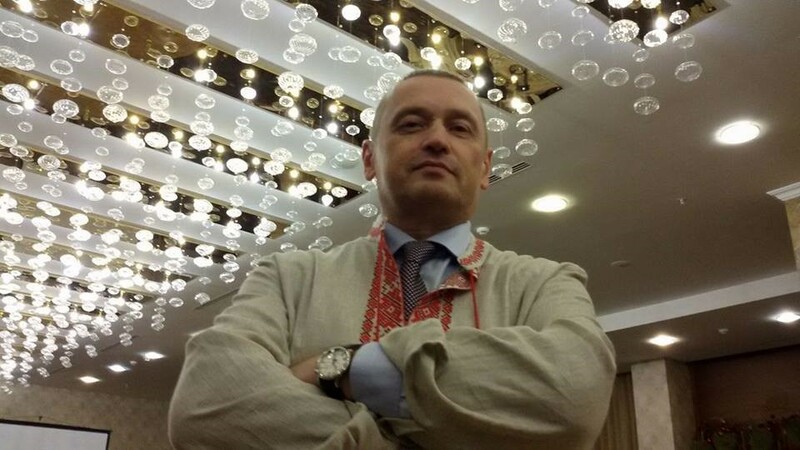 The fate of an opposition-minded high-school history teacher, who was dismissed for having organised a campaign in his district to collect signatures for one of Lukashenka’s opponents, serves as an example. This person was the leader of the largest NGO in the district, which organised and held meetings with Belarusian historians, local history experts and cultural figures. He also wrote several history books. Nevertheless, his repeated attempts to get a job were unsuccessful as he remains blacklisted. Politically motivated lawsuits against Belarusian activists were also initiated. 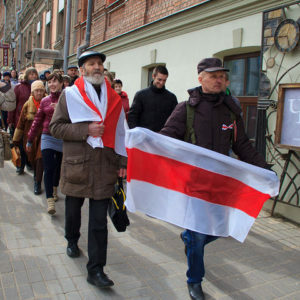 There was a possibility that political prisoners would reappear in Belarus. Thus, on 14 June 2018, officers of the KGK’s Financial Investigation Department searched the apartment of Ales Lipaj, a poet, renown independent journalist, founder and director of BelaPAN news agency, for seven hours. Criminal proceedings were instigated against him under Article 243 (Part 2) of the Criminal Code (large-scale tax evasion). On 23 August, Ales Lipaj died. He was only 53 years old. On 24 November 2011, under the same article, also for an alleged large-scale tax evasion, the court sentenced Ales Bialiatski, a renown human rights activist, to four and a half years in a medium-security correctional facility and to the confiscation of property. 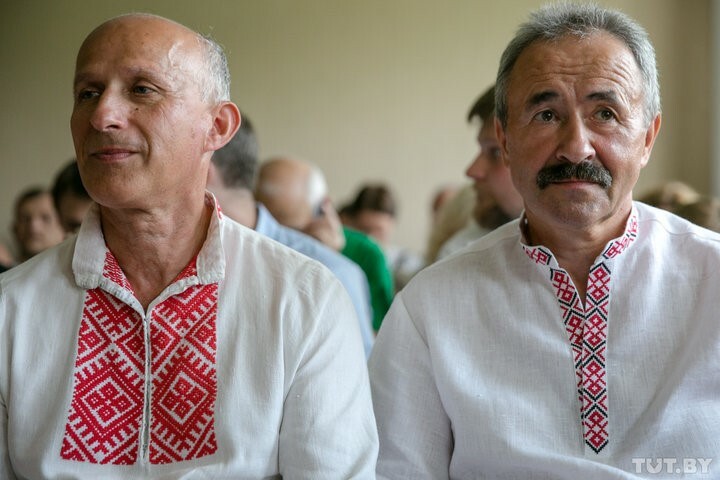 On 30 July 2018, Hienadz Fiadynich and Ihar Komlik, the leaders of the independent trade union movement, were put on trial. They were charged with large-scale tax evasion (Article 243 (Part 2) of the Criminal Code). After two months of trial, they were sentenced to four years of restraint and fines. Article 193-1 of the Criminal Code, which provides for criminal liability (imprisonment for up to two years) for activities on behalf of an unregistered organisation, is yet to be repealed. Many Belarusian NGOs were denied state registration, or they are not able to obtain state registration under the current conditions. Their activists still face the risk of this article being used against them. As before, there is information from the province that KGB officers have been having “preventive” conversations with businessmen, warning them about big troubles in the case of providing financial and material support to civic activists and initiatives. Therefore, it is unlikely that the authorities will ease the pressure on the opposition and civil society and take noticeable steps towards political liberalisation in the period preceding the presidential election.